A “big fight” is currently taking place in Parliament about whether small renewable energy installations should enjoy so-called “priority dispatch” to the electricity grid and be exempted from grid balancing responsibilities. Krišjānis Kariņš (EPP), a Latvian lawmaker who is in charge of drafting the European Parliament’s position on the EU’s proposed electricity market design directive, is facing mounting pressure from angry small-scale renewable energy producers. 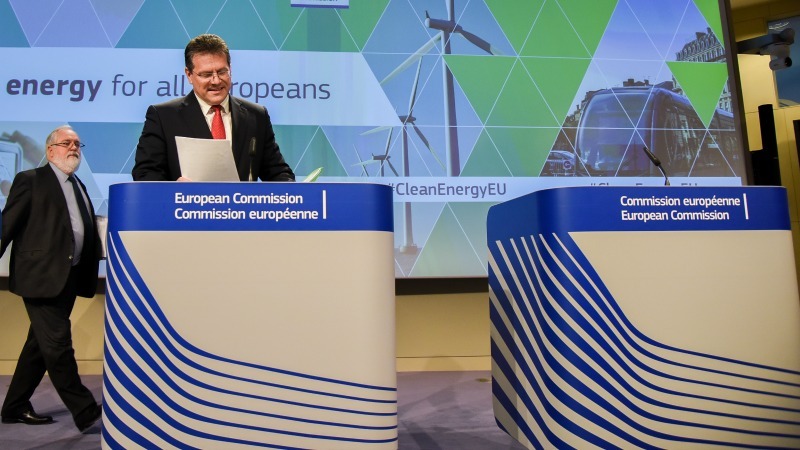 In proposals unveiled over a year ago, the European Commission promised to put consumers in the driving seat of the energy revolution, saying “consumers and communities will be empowered to actively participate in the electricity market and generate their own electricity, consume it or sell it back to the market”. But the draft report by Kariņš literally turns this principle on its head by exposing small-scale renewable energy installation to the same rules as big electricity utilities, EURACTIV has learned. “There is a big difference between small scale renewables and local energy communities and huge utility-owned renewable energy projects,” said Sebastian Mang, energy policy adviser at Greenpeace EU. Failing to distinguish the two would “go against the EU’s stated aim to empowering energy consumers,” he warned. The warning is echoed by SolarPower Europe, a trade association. 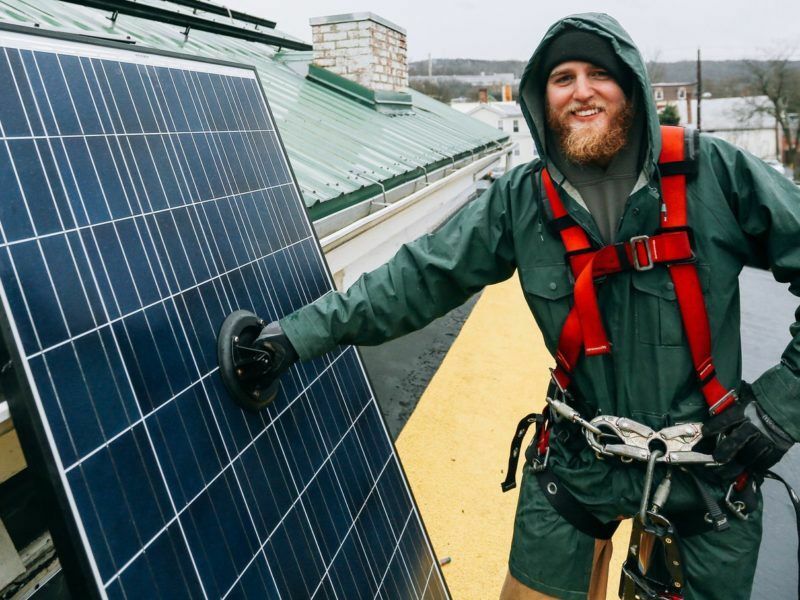 “Today, a level playing field does not exist between a state utility with massive solar farms and a local farmer with a rooftop solar system,” said Aurélie Beauvais, policy director at the association. For small renewable energy producers like hospitals, farmers, and schools, whose main activity is not related to power production, the “administrative and financial burdens will certainly act as a strong disincentive to engage in renewable energy production,” she said. 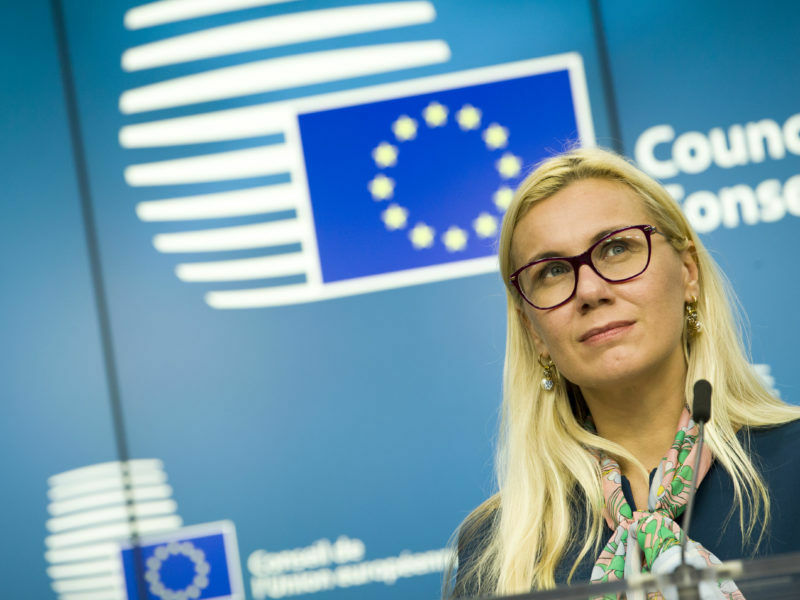 Contacted by EURACTIV, the office of Kariņš declined comment, saying the final texts of the electricity market design directive and regulation were still under negotiation. However, a draft of his report obtained by EURACTIV confirms the fears expressed by Greenpeace and SolarPower Europe. Most articles related to exemptions for small-scale renewable energy producers and high-efficiency co-generation facilities were simply deleted from the text. “Providing exemptions to some market participants means discriminating against others, which fundamentally undermines the market structure, increases the costs to consumers and creates uncertainty for investors,” reads a ‘justification’ paragraph in the draft report. Political group representatives in the European Parliament are meeting on Tuesday (6 February) to try and hammer out a compromise text ahead of a vote in the Parliament’s industry committee on 21 February. A plenary vote is expected to take place in the coming months, opening the door to final negotiations with EU member states. However, small renewable energy producers have little to hope from the Council of the EU, which represents the 28 member states. During a fractious meeting in December, EU energy ministers took little interest in the issue, spending most of their time haggling over the phase-out of subsidies for coal and gas-fired power plants. Eluding talks on the issue, they let each country decide whether to expose small-scale renewables to the market or maintain exemptions. 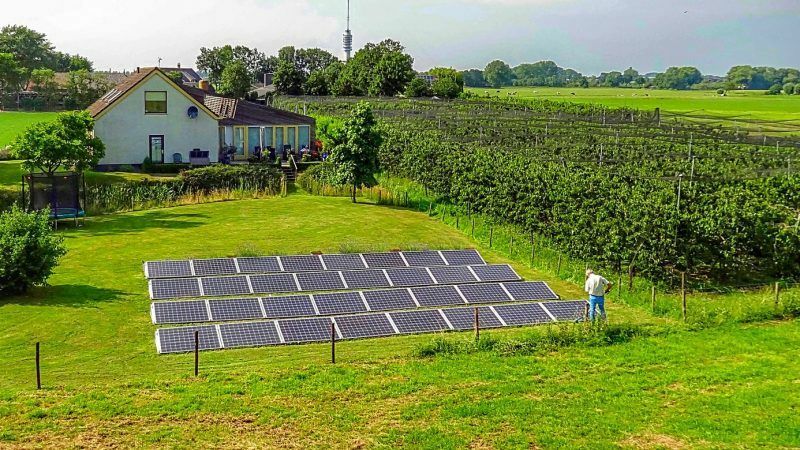 This is seen as the lowest common denominator by SolarPower Europe, which expected the Parliament to take a more assertive stance when it comes to protecting small-scale renewable energy producers. But the draft text currently discussed in Parliament is even worse than what EU member states came up with, Beauvais warned. “We had faith that the European Parliament would counter the Council’s position, but the latest report of Market Design rapporteur Kariņš risks lowering the bar even further and threatens to expose small installations to disproportionate market forces,” said Aurélie Beauvais. The most supportive countries were France and Greece, SolarPower Europe says. And while Germany could have been a strong supporter for small-scale renewables, the government has been more preoccupied with the election aftermath and has tended to concentrate on other issues, like “capacity mechanisms” for gas and coal-fired power plants, as well as the delimitation of bidding zones for electricity. Small renewable producers are heavily reliant on service providers such as aggregators which can take care of grid balancing obligations for them and help manage the variable influx of green electricity coming into the power networks. However, “in many countries, there are no or few balancing services providers,” Beauvais explained, saying the distribution grid – especially in eastern EU countries – would first need upgrading to better manage decentralised energy flows. This can result in hefty prices for consumers generating their own electricity. In Bulgaria for instance, balancing costs for small renewable producers reached up to 12% of the feed-in-tariff when the country decided to abruptly remove the exemptions on balancing responsibilities. Amendment 39 in the Karins report, calling for the phase out of priority dispatch rules for small-scale renewables. At the end of the day, SolarPower Europe warns this will have a negative impact on local communities, depriving them of cheap electricity and qualified jobs. “The EPP and ALDE group have been very silent on small installations,” Beauvais said referring to discussions in the European Parliament with the centre-right European People’s Party (EPP) and Alliance of Liberals and Democrats for Europe (ALDE). 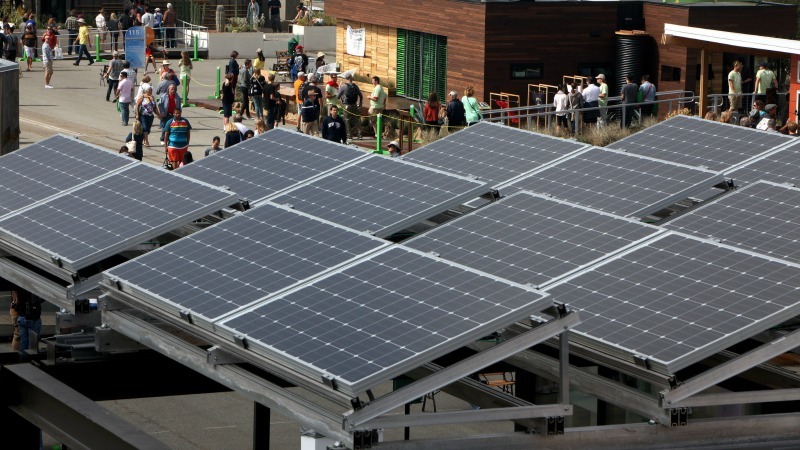 “This risks killing a business model which will be extremely beneficial for an efficient and cost-effective energy transition in Europe, the empowerment of energy consumers, as well as the social and economic dynamism of local communities,” she said, referring to a study by EY, which showed roof-top PV installations had the potential to provide three times more jobs than ground-mounted solar plants. Half of EU citizens – including local communities, schools and hospitals – could be producing their own renewable electricity by 2050, meeting 45% of the EU’s energy demand, according to new research published on Monday (26 September). Yet another case where it is evident that the civil society is weak! F@cking weak and fragmented, to the point that its effectiveness to address only issues like agriculture, begs the question regarding their impartiality. Where the f@ck is Transport&Environment, Carbon Watch, Friends of the Earth Europe and the European Environmental Bureau???? How many billions of EU subsidies take just to make pr photos? Disgusting and uninspiring! there you go mate – I answered on their behalf – that said – I’ve probably forgotten more about power networks than they know. There is a great deal wrong with the text of the legislation & the idea of priority dispatch. First, transmission operators (TSOs) cannot “see” small scale RES. If they can’t see it – they can’t give it “priority dispatch”. Small-scale RES mentioned in this article mostly impacts on distribution networks – which for the purposes of this response are up to 33 or 66kV. DNOs are the group most affected by small-scale renewables, which typically cause voltage rises on networks (when there is low load & plenty of generation). The issue in this case becomes one of “socialising or not” the costs of network alterations to accommodate small-scale renewables (= up to 3 or 4MW). At the same time, the article omits the two ways in which small-scale RES receives money: either through a FiT (which is metered) or through PPA + ROC (renewables obligation certificate). The latter applying to Brexitland (although the Germans have something similar – having moved away from FiTs for medium-scale RES). The PPA is typically made with a large power company – who then “folds” the power generated by small-scale installation into its portfolio of generation assets – which are then dispatched to the network. Variations in RES levels being compensated for within the portfolio. The statement “Small renewable producers are heavily reliant on service providers” – oh do tell – who would they be – the service providers? “which take care of grid balancing obligations and manage the variable influx of green electricity coming into the power networks” – oh that would be the TSO then. hardly a “service providers – more a service taker. The following statement is nonsense on two legs: “in many (EU?) countries, there are no or few balancing services providers,” Utter balls – you cannot run a transmission system without frequency response & for example MVAR provision. The article then starts to get mixed up with the distribution network & the statement that indeed DNOs (in all EU MS – not just eastern ones) struggle to manage embedded RES – for the reasons I have given). But this has NOTHING TO DO WITH BALANCING SERVICES AND THEIR PROVISIONING WHICH IS A TSO FUNCTION. Euractiv – if you want to look sensible – employ somebody that has a basic understanding of power networks. Moving back to “balancing services” is this with respect to the TSO? In which case, the main service of interest is frequency response – & there is little or no reason why, for example, a PV inverter could not provide a modest amount (or indeed VAR services). That said – since TSOs already PAY for FR services then perhaps the discussion needs to move to – “what would TSOs pay small-scale producers of power for some FR” & “what sort of audit trail would they implement” etc etc. You won’t hear these discussions or requests from Euro TSOs/ENTSO-E cos they…..don’t like small-scale RES. Tough questions – but you will never hear answers from the dolts sitting in the EP or Council or indeed ENTSO-E (I retain some hopes wrt the Commission – that said – their original text was pretty dumb – put your hand up who wrote & go to the back of the class – idiot!). Hi Mike, good to see you again on EURACTIV, your (often blunt) comments are always appreciated. As you’ve noticed, we’re not trained electrical engineers so we try to keep our reporting focused on the political debates, not on the technical aspects. Still, I’ve slightly rephrased one of the sentences in the story to take your comment into account (while keeping our dumb readers on board). For the rest, we’ll certainly have to go back to class, I’m afraid. I agree with you regarding the way the power system is balanced. Ultimately, it is the responsibility of the TSO to balance its control zone, using the technical process you describe in your reply. But the TSO is only the ultimate provider of the balancing. The most of the frequency deviations in the control zone are already balanced in real time by the balancing groups in the zone. The balancing responsibility is thus transferred down the responsibility chain to the balancing group responsibles, usually producers or suppliers who can control their generation in response to deviations occurring in the group. This way they provide balancing services to the members of their balancing groups, be it generators, consumers, or storage, and charge them for this service depending on their members’ ability to accurately forecast their operation schedule. Any energy market actor therefore needs to pay for the balancing services to some such service provider (i.e. most likely their balancing group responsible). When RES (or any other) generators are preferentially dispatched, they become a member of a special balancing group that does the balancing for them for free. As soon as the small scale RES generators are denied preferential dispatch, they enter the world of forecasting their generation and looking for somebody to buy the balancing service from. Most likely, any supplier running their own balancing group will be willing to step in. But now the RES generators need to invest in the forecasting tools and generation schedule reporting tools and into the respective knowledge – which is a big hurdle, compared to “install-and-forget” approach under the preferential dispatch arrangement. This is why such arrangements are detrimental to small scale RES generators we wish to stimulate to invest. I see the Euractiv statement “in many (EU?) countries, there are no or few balancing services providers,” as describing the situation where the offering the balancing service providers is tailored to large generators and consumers. Once small RES generators are bundled with them, they face unacceptably high operational cost increase. There are indeed few balancing service providers who make it easy for the small RES generators, newly in the market for somebody to balance their generation. Let’s face it – preferential dispatch is slowly going away (like Feed-in tariffs did), and everybody, including households and small RES generators will ultimately need to forecast their schedules (or pay someone for this service). The balancing service providers who will first tailor their offering to small RES producers, simplify the forecasting and schedule reporting and make it intuitive, seamless and user-friendly, stand to gain the most of the move towards the abolition of preferential dispatch. Electricity grid is very senisble and in every moment production must be equal to the consumption. This is a main reason why so called renewable energy production is bull s..t. , becuse it is not reliable. That think humans knew already in history , and after almost 5.000 years of using wind power e.g renewable energy , mankind abandoned it by speeed of light when James Watt invented steam engine.